Gender-based violence greatly impacts the lives of many women in our host communities and within our PNG workforce. It represents one of the biggest hurdles to women’s empowerment and economic advancement, productivity and equality in both society and the workplace. Policy – Ensuring Oil Search and Oil Search Foundation (OSF) policies, procedures and strategies support, promote and align with best practice WPE principles. 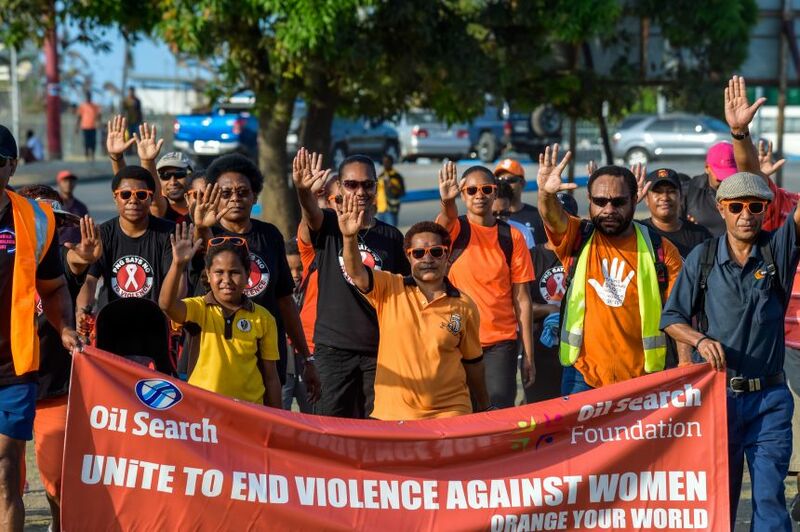 Tools and knowledge – Providing knowledge and tools for PNG-based staff to enable them to be advocates and agents of change, particularly in relation to family and sexual violence. Community – Supporting PNG community activities such as WPE services offered by the Family Support Centre at Hela Provincial Hospital, ensuring they are culturally sensitive and responsive to local needs and that they add value to, rather than duplicate, existing programmes. OSF also has a comprehensive programme in place to address gender, family and sexual violence in Hela Province that includes training at all levels of the Hela Provincial Health Authority (HPHA), community prevention and awareness activities, outreach, communication materials, mentoring, counselling, and salary support. Leadership and partnership – Demonstrating leadership to our private sector peers by addressing WPE internally and externally in partnership with the PNG Government and key stakeholders, and communicating on progress. This approach seeks to align, underpin or extend existing initiatives and activities such as our diversity and inclusion, citizen development, and health and sustainable development projects and programmes. Together with the Oil Search Foundation, we implement the initiatives outlined in the Women’s Protection and Empowerment Strategy with the support of the Women’s Protection and Empowerment Committee, a voluntary employee committee.